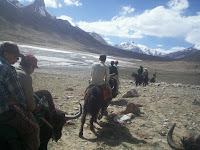 Since Karakorum is home of thorny and gigantic mountains,splendid lush green valleys ,alpine meadows/ pastures ,inspiring glaciers and more custodian of Unique mountain culture.attract hundreds of tourist around the world, the region has been the tourist center for decades ,adventurers,trekkers,photographers have found it one of the extreme setting on earth. in the Karakorum mostly Gilgit-Baltistan and Hunza has amazing adventure ,cultural,educational and social attraction and potential to give new experience and observations to visitors. 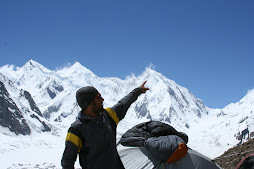 Karakorum season starts from April and lasts till October last. for the mountain climbers, the suitable climbing season starts from June till mid August! winter mountain climbing has been encouraging but the trend is very less,it need to be encouraged since Government has frozen the Royalty fee to 5% only, therefore winter expeditions to 8000m mountains are very possible. summer mountain climbing have also encouraged ,after cutting off the royalty fee to 50% of original fee. trekking to Concordia,Hispar Biafo and Shimshal ,shimshal pass over Braldu are some of the best trekking routes, several other treks are to Kalsh valley in the Hindukush, Batura glacier trek are also high listed among best treks. Cultural treks include amazing Shandur Polo Fesetival ,Shimshal Tagham festival,Shimshal Kuch festival, Shimshal Yak riding/racing festival and shimshal Autumn Kutch festivals,Slaighera festival is other big Event in the Hunza in the second week of July! which is celebrated across Hunza region.and many more! there has not been included the other culture trips from other provinces of Pakistan, though Pakistan has diverse culture and landscape, at present only Karakorum has been focused,otherwise Pakistan has great potential from Sea to the second Highest K2! for More visit the link and write us! please check out the video link!